in the Cornerstone Church, The Well (Opposite the Royal Hotel). Social – Cultural – Educational – Sporting etc. Order of Catholic Lay Men are looking for members to carry out Catholic Work in the Dublin / Bray Area. Join and look to the future with confidence! Would you like to help an adult improve basic reading, writing, maths and IT skills? Are you a good communicator and confident in your ability to empathise with and understand adults with literacy difficulties? For more information please contact Niamh or Joan at 2761350. We are a free and confidential service for adults who would like to take the first step back to education. We are currently looking for volunteer tutors who can commit to two hours a week at the Centre at a mutually convenient time. All participants must complete an initial training course. Courses are free & part-time. Contact Niamh or Joan: 01 276 1350 for further details. 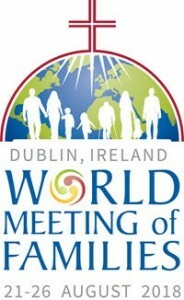 Meetings resume at 8pm on Thursday September 17th in the Kinsale Room, Royal Hotel, Bray. All members and supporters are asked to note this new venue for meetings. Living in the Bray/ Greystones/ North Wicklow Area? Would you like to volunteer to befriend someone with intellectual disability? Bray Lakers would like to inform you of a new programme called Best Buddies which enhances the life of someone with an intellectual disability by twice monthly participating in a community based activity that you both enjoy. For more information or to volunteer, contact Tom at 086-3998297 or Anne at 087-9491515. Everyone benefits from a short break or a holiday, even more so when a family has a child with learning disabilities (mental handicap). Breakaway is a family placement scheme, run by St John of God Carmona Services in Glenageary and other caring agencies, which involves ‘host carers’ in the community taking such a child into their home for a break. Host carers have found the experience demanding but very rewarding, and the parents have had the opportunity of a short break from caring, and the chance to spend time with their other children. There are 133 ‘host carers’ in the Eastern and North Eastern region at present but there are approximately 1,600 children under 19 with moderate or severe learning difficulties, so only about eight per cent of them have been able to enjoy these breaks. Break Away Social workers, who provide assessment, training and on-going support to ‘host carers’ are currently looking for people and families who would be interested in becoming carers. B.E. is a support group for those coping with the pain of loss of their life partner, through Death, Separation or Divorce. Few people are able to cope alone with the pain of loss. Do you find that you need more support than family and friends can provide? Seeking help is a sign of strength and self-knowledge – not weakness. This is a healing ministry, which helps to resolve the grief that goes with the end of a marriage or relationship. Coping effectively with bereavement is a skill we can all learn.